The lens is very bright and gives off a clear view every time you use it. This will not add all that much weight to your scope. Although the bikini lens cover that comes with this is effective, it isn’t as great as a flip cap. Not all rifles can handle this scope although that is something that could be said for your lens. This Nikon Prostaff 5 3.5-14x40 BDC Riflescope review is about an appealing and thrilling new scope for your hunting needs. It makes it easier for you to get out there and find your targets out in the field. It offers a crisp and clear image too. ​The body of the Prostaff 5 is made with a secure design. It is only 17.2 ounces in weight and is about 13.6 inches long. It doesn’t add much to your rifle when it’s all considered but it should still be very easy to use and prepare if necessary. 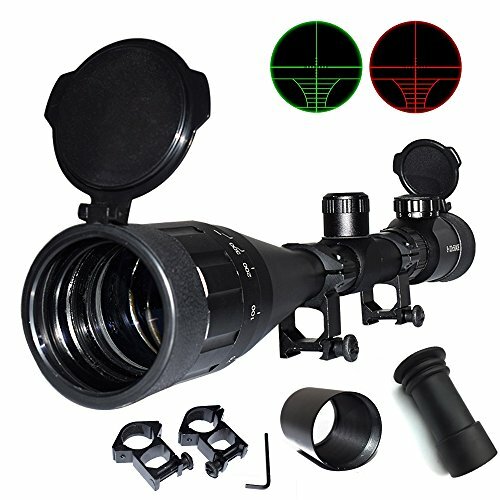 ​This offers a 44mm eyepiece outside diameter. The tube has a 1-inch diameter on the outside part too. This offers a great body that is easy to apply onto your rifle. The matte finish also blends in well with your rifle. ​The unit is also O-ring sealed so it will not suffer from shocks or be harmed by water or fog. It gives you a clear view every time. It is even filled with nitrogen to neutralize any possible air impurities that get into your scope. This should help you get a better aim no matter where you are heading with your rifle. ​You can use this great body to find all kinds of targets. It is a simple and easy to use option that will not be too tough to use. How close you will get with Nikon Prostaff 5? 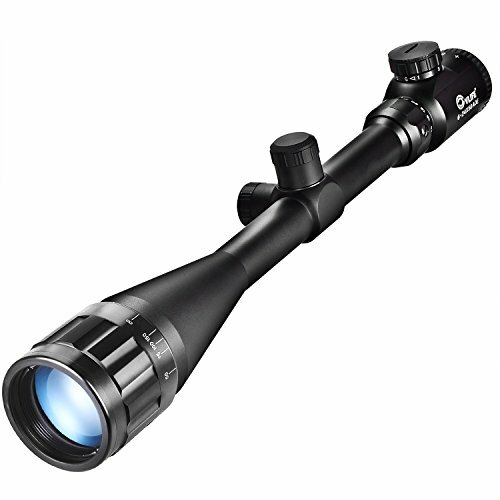 The Prostaff 5 has a 3.5-14x magnification level. It comes with a 4x zoom ratio and a 40mm objective diameter. These will help with creating a better total look as you are peeking into your scope. The base of the scope has a simple adjustment feature. It helps you to move the zoom in and out with ease. This makes it easier for you to move in and out with care. This uses a ¼ MOA click-stop system that locks the lens in place so it doesn’t move more or less than what you might prefer. It works in many conditions and will not be impacted by any potential recoil that occurs as you take your shots. The knob is also a spring-adjusted model. It allows you to engage in a clear shot with ease to make for a better aim as necessary. You can also reset your turrets by sighting in, lifting the knob and the rotating to zero. This quickly helps you reset the scope so you can get a better aim in any condition. 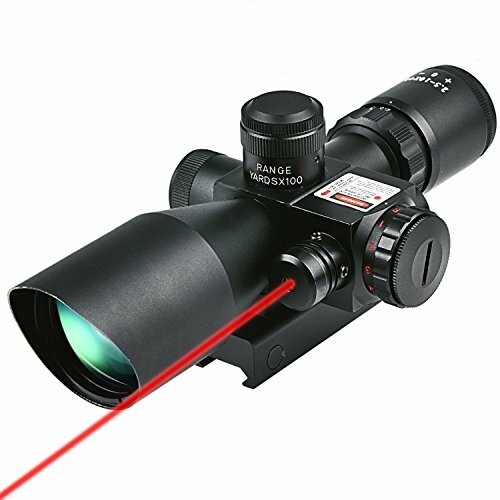 The long eye relief on this scope is very easy to use. 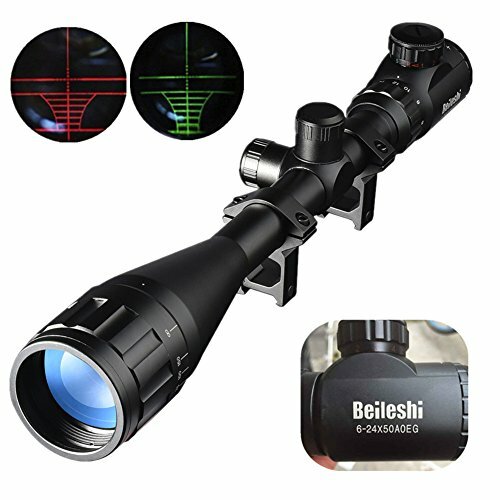 It gives you a clear angle to view the scope with even when you are wearing any kind of eye protection. 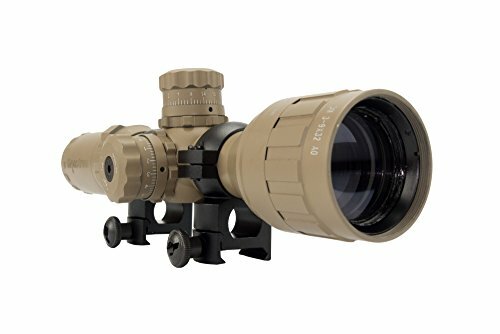 This scope also has a multicoated optics setup that helps you see better in many situations. This allows light to move through the lens quite well. This even works in cases where there is very little light to work with. This should help you find your targets quite well. The lens is also carefully smoothed out to create a crisp image every time. It is not too hard to maintain although like with other lenses, it helps to be gentle so you don’t put yourself at risk of harming it. 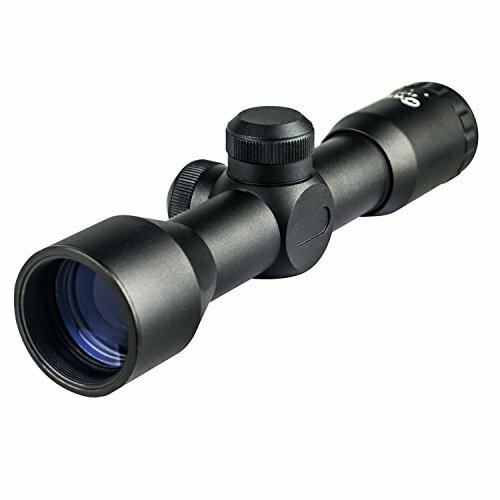 The optics are also carefully organized with a brilliant spot that is very easy to use. This is designed to be very easy to use without being too tough or hard to use. The reticle on this rifle scope is an important part of what makes it special. The BDC reticle uses a series of small see-through circles in the middle area. 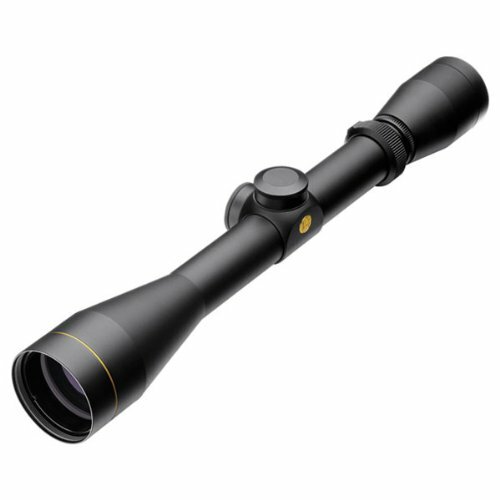 These help you to aim the rifle and to get a clear idea of what’s in a long-range shot. This can work with the Spot On Ballistic Match Technology from Nikon to help you get a proper aiming point at a variety of yardages. As a result, you can get a clearer idea of how elevation and potential bullet drop points can make a difference in your shot. The reticle is carefully labeled and designed to help you level your shots. It has to be used carefully for the best possible shot but when prepared carefully, it should not be too hard for it to work. It will make a difference as you are aiming to get a better shot no matter where you are going with it. The lens is very bright and gives off a clear view every time you use it. The lens can also be turned carefully if needed. The ability to adjust the objective on the scope is easy to handle. It gives you a better view of more spots in your area. 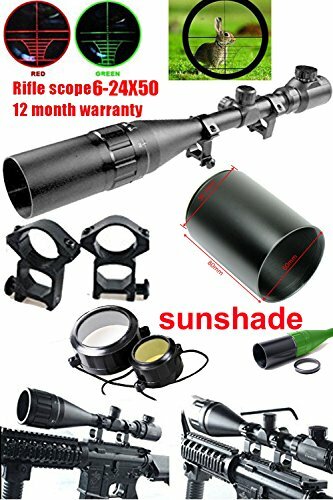 This will not add all that much weight to your scope. If used carefully, it should give your scope more value while also staying on a spot where it will not be harmed. 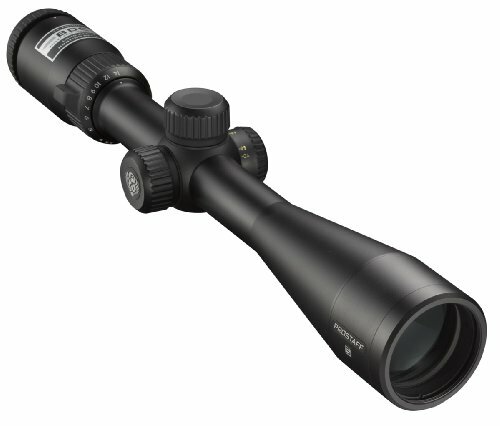 This is available for less than half the value of a similar model from Zeiss or Leopold. 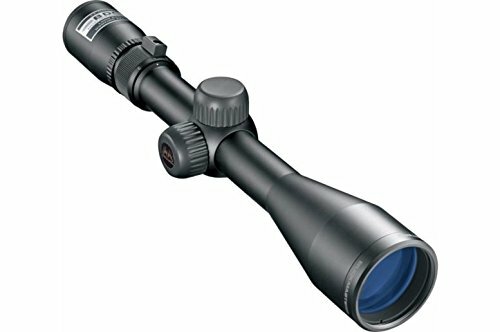 In fact, the scope is practically similar to some of those high-end models from Zeiss and Leopold without costing far too much for you to get. The crosshair is not fully squared off. This means that one of the lines is leveled but there is always the chance for one line to be a little off. Although the bikini lens cover that comes with this is effective, it isn’t as great as a flip cap. The rifle at least doesn’t let in far too much of anything into its body though. Not all rifles can handle this scope although that is something that could be said for your lens. Check carefully to see how well this can work on your rifle by seeing if your rifle has a body that can support it or is wide enough to handle the spot. 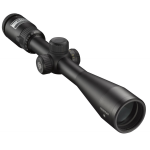 This Nikon Prostaff 5 3.5-14x40 BDC Riflescope review should have helped you see just what makes this a great model. This gives you a simple interface for use and a carefully organized aim every time. It’s not hard to set up and adjust either.